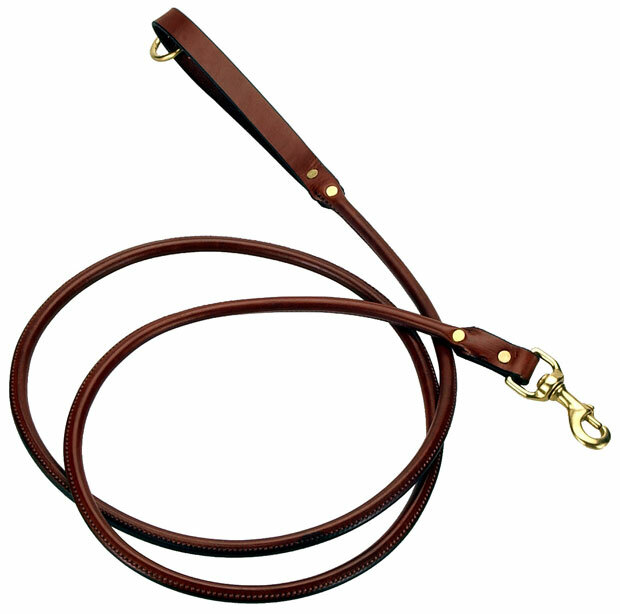 * A very durable rolled leather leash that only gets better as it softens with age. * Fully-stitched with a riveted swivel bolt snap and floating handle ring. 48" x 0.75" x 0.2"